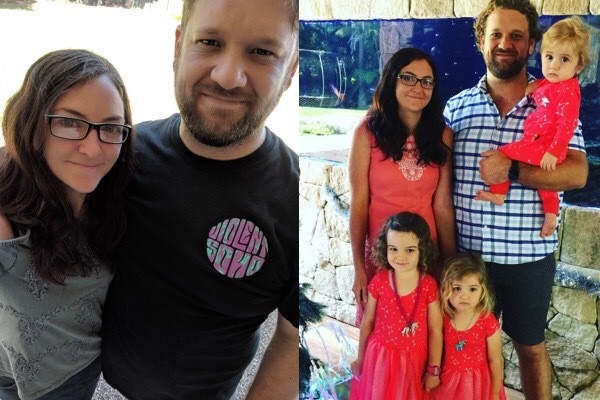 We are fundraising on behalf of our brother in law Dan and sister Kristy & their beautiful family (Haley 5, Imogen 3 & Eddie 1). 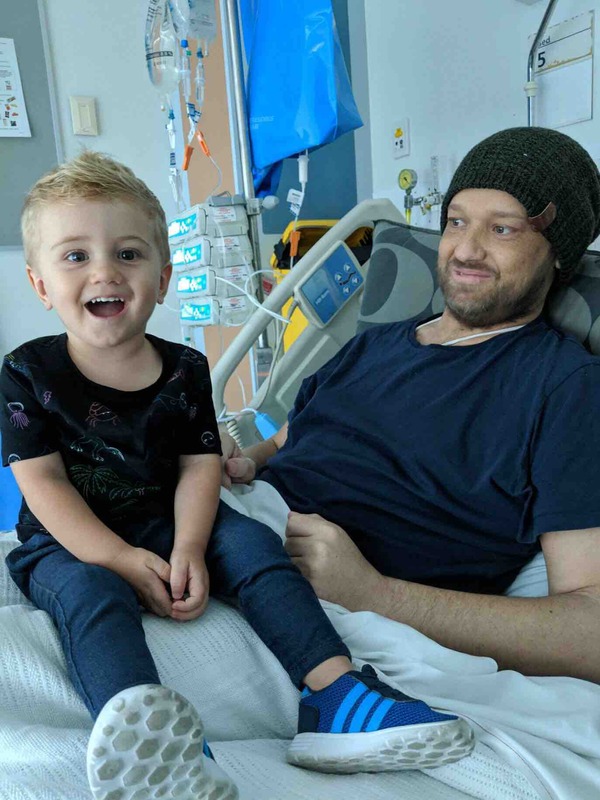 Their world has just been rocked with some terrible news as Dan has been diagnosed with Acute Lymphoblastic Leukaemia. He was admitted to the RBWH on Monday 23rd April & doctors have advised he will not be coming home for at least a few months. Dan had his first round of chemotherapy on Thursday 26th and this will continue daily for the time being. Doctors are very positive that he will respond to treatment and they have a 60-70% success rate - which is fantastic news! He went to the GP after a few unusual bruises and a sore jaw. He had a full blood test done only 5 months ago and was a picture of health. Today he is neutropenic and was given platelets within 6 hours of admission. This news comes just 12 months after Kristy was diagnosed with Cervical Cancer & underwent intensive chemo & radiation at the RBWH. She has thankfully made a recovery but has been sent into early menopause due to treatment. The family moved from Mackay to Brisbane for her treatment & they have only just managed to get back on their feet, settling in Beachmere. Kristy is a full time mum to these beautiful kids and as Dan will be unable to work for the unforeseeable future - times are set to get very tough for them. We are hoping to raise some money to help keep them afloat during this time. The mortgage and bills will still need to be paid as well as the cost of travel to and from the hospital & parking. Thank you for taking the time to read this family’s story and please know that we would be forever grateful for any donation that you could offer... No matter how small! An update on Dan. 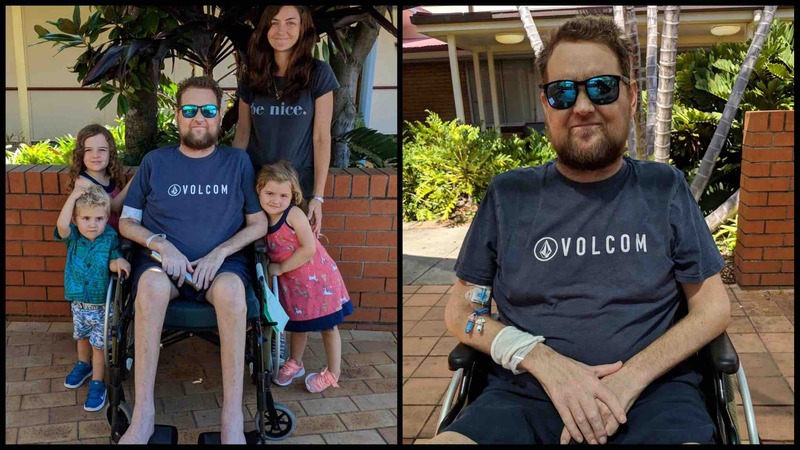 On Wednesday 20th March, four months after he was admitted to the RBWH with his latest complications, Dan was finally deemed stable enough to be moved to Redcliffe Hospital Rehabilitation facility. Here he is working with Physiotherapists and Occupational Therapists multiple sessions a day in preparation to being able to come home We are so happy he has been able to take this next step. Although he is still being closely monitored by his Haemotology team. Next month will be one year since Dan's diagnosis, and when we look back at all the ups and downs it's clear just how strong Dan is. From kidney failure to chemotherapy and days on end of fevers during his transplant. Months of inability to eat, septic shock resulting in multiple organ failure and life support. 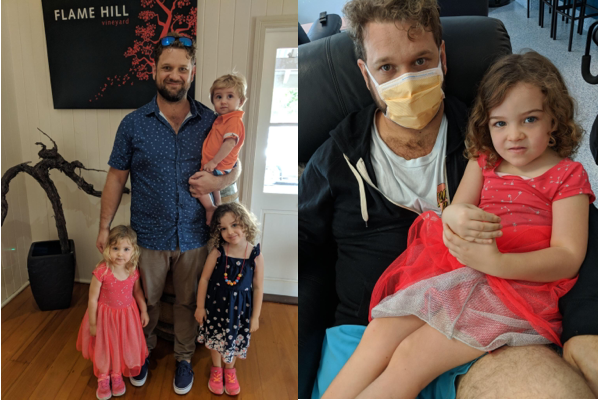 Four trips to ICU, losing his hair not just once but multiple times, a constant and heartbreaking reminder for Dan of his identity as a Leukaemia patient. Fatigue, appetite suppression, neutropenia, just to name a few, not to mention the mental battles he has been fighting since day one. Dan's doctors have been amazed by his strength and ability to endure so much. They have repeatedly told us it is a miracle he has survived. 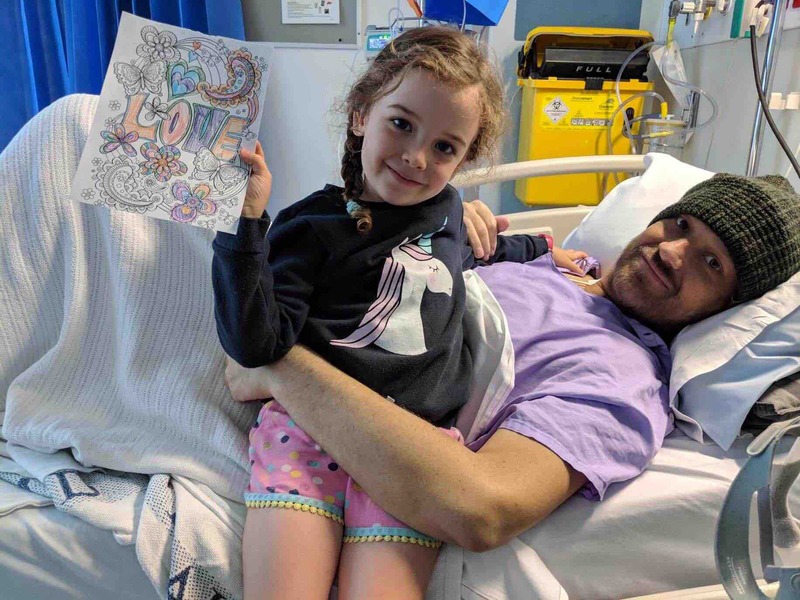 The RBWH Haemotology ward have always gone above and beyond to care for Dan and our family. Our biggest thanks to the doctors and nurses who have been such a huge part of our life this last year. Of course with all this hospital time comes three little people missing their Dad. The resillience of our kids has amazed me and I am so proud of them. They are SO looking forward to Daddy coming home, and saying goodnight in person instead of on the phone. Dan's mum, Linda has gone above and beyond and has not only been Dan's stem cell donor, but also uprooted her life temporarily to help care for Dan while in hospital. This has been a massive help while Haley has started school and needed a bit more stability at home. As always, it cannot be all good news. Dan has had Microscopic Recurrance of Disease (MRD). This means Dan's battle is not over, and that his blood is showing abnormal cells (on a very small Microscopic level). Dan has been started on yet another strong drug (of course not without it's own slew of side affects) to try and control this, and it is a waiting game but there is a chance he may have to stay on this for the rest of his life. I am so beyond proud of my husband and how he has handled this absolutely heartbreaking and unfathomable journey. This situation would have been infinitely more difficult without the support of our families, and everyone who has donated through this page. As always, our biggest thanks to you all. Another month has passed and Dan is still doing it very tough. Since his initial visit to ICU on his birthday with multiple organ failure Dan has been back in ICU four times with respiratory failure due to repeated alveoli hemorrhaging (bleeding in his lungs). He has been intubated several times and has been again suffering similar effects from the related sedation. His team of doctors are truly amazed that he has been able to survive such a traumatic series of events and have said it is a miracle he is alive. Currently Dan is fairly stable in the RBWH and is recovering and working on his rehabilitation. Dan has given me permission to share a photo I took the first time he was able to be sat in a chair in a number of weeks. It shows a little to the massive muscle wastage Dan has suffered. He is unable to walk or do many things for himself, although we hope with a lot of hard work with the team of doctors and physiotherapists (and likely a rehabilitation unit stay) he will regain his independence. Dan is looking forward to coming home as soon as he can, although there is a long road ahead for us all. Thank you to those who continue to ask how we are doing. It has been tough with Haley starting school in such a whirlwind of a situation. The support of our families and friends is a huge help in this impossible time. After ten long days intubated and sedated in ICU, Dans breathing tube was finally able to be removed on Boxing Day. He has now been moved back to the RBWH'S Haematology ward for further monitoring and recovery. Upon waking from sedation, Dan was very confused and even suffered hallucinations. His mental clarity is improving day by day and he is finally now beginning to sleep peacefully. The cocktail of drugs used to treat and sedate him, coupled with the steroids treating his GVHD, has also resulted in a huge amount of muscle wastage. Dan will need to work hard with the team of physiotherapists to regain his independence. We are confident his stubborness and strength will serve him well in getting through this latest challenge. He has already shown us all just how hard he is fighting to get back home to be with his family. Thanks again to all those who have helped and wished us well over the Christmas break. The donations from people I haven't even met truly amaze me and I am forever grateful to you all. The everyday bills, as well as the ongoing extra costs of fuel, parking and groceries while away from home, have been made so much more manageable thanks to each and every dollar. A long awaited update on Dan. What a few months we have had. Dan's transplant took place and it was a very rough road. He was discharged from hospital and allowed all the way to our family home which was a blessing. 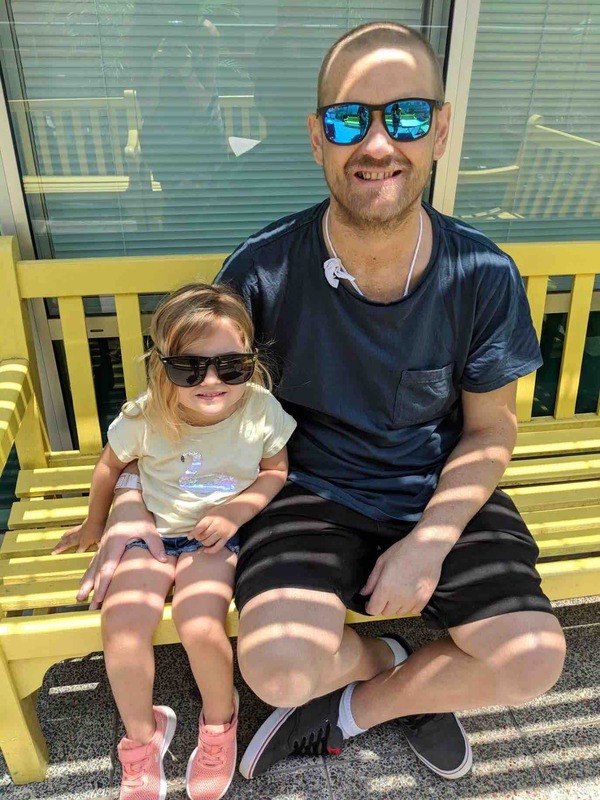 Dan continued to struggle with many aspects of recovery, eating was a particular concern, but continued on at home with twice-weekly visits to his team at the RBWH. 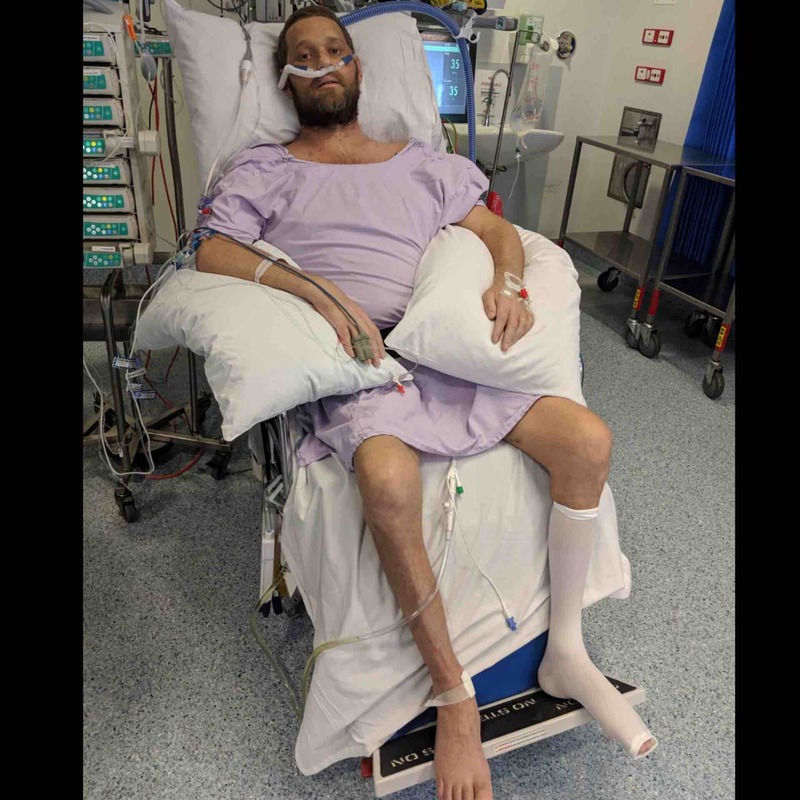 On the 25th of November, after continued digestive problems, Dan was readmitted to hospital with acute GVHD (Graft vs host disease) in his gut. This serious complication saw him nil by mouth for 3 weeks while his gut was treated with a host of drugs and steroids and allowed time to repair itself. On Sunday the 16th of December, also, ironically, Dan's birthday, he had a major decline in his condition and was transferred to the ICU. Dan was intubated and placed on life support. The diagnosis was a serious infection. Dan has also developed double-lobe pneumonia. His Hickman's line, a port directly into his heart which was placed in before transplant was removed and named the likely source of infection. The resulting treatment has caused Dan to suffer from fluid overload, maxing out at holding around 14 litres of excess fluid. He has had two new central venous lines inserted, one in his jugular to allow for hemodialysis. The dialysis machine is attached continuously to remove fluid and support his kidney function. Dan remains now unconscious and we hope that he will be able to wake up in the coming days. Big thank you to all our family and friends who have been supporting us through this time. We also ask for your patience and those wanting updates and to send well wishes, it is a very busy and tense time for us and we may not always be able to respond to calls, texts and emails.